Super soft cotton T-shirt for the summer months. 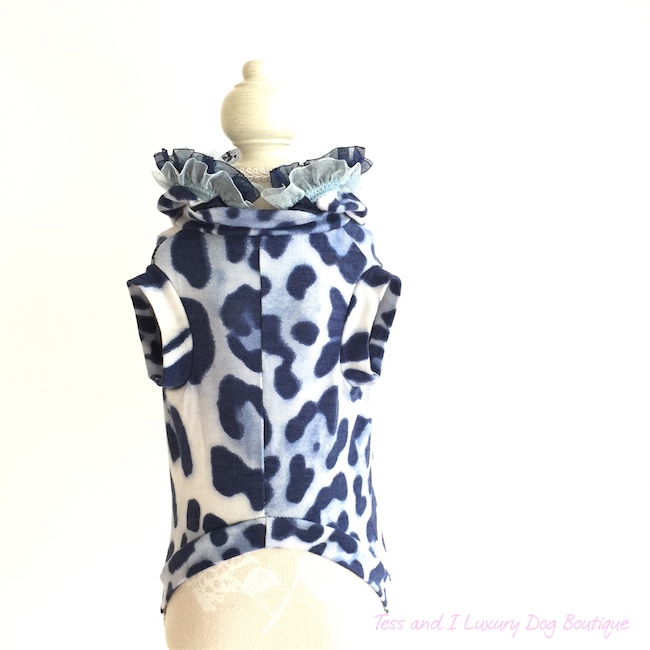 Blue Leo pattern with sparkling Swarovski crystals all over. 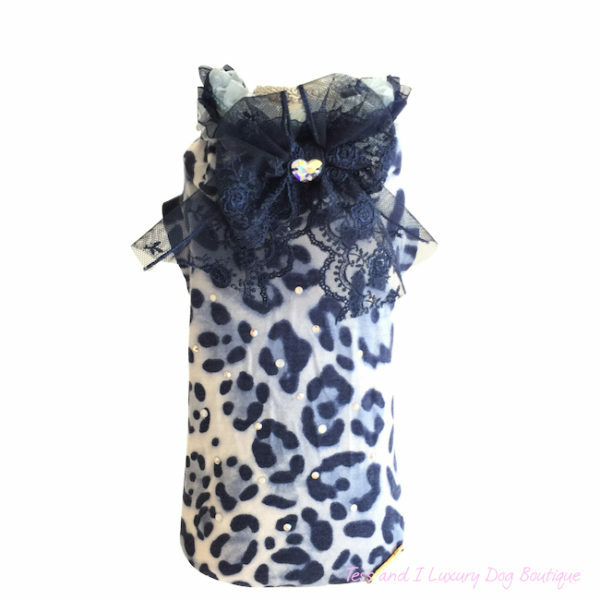 Removable hood with three layers of light and dark organza. 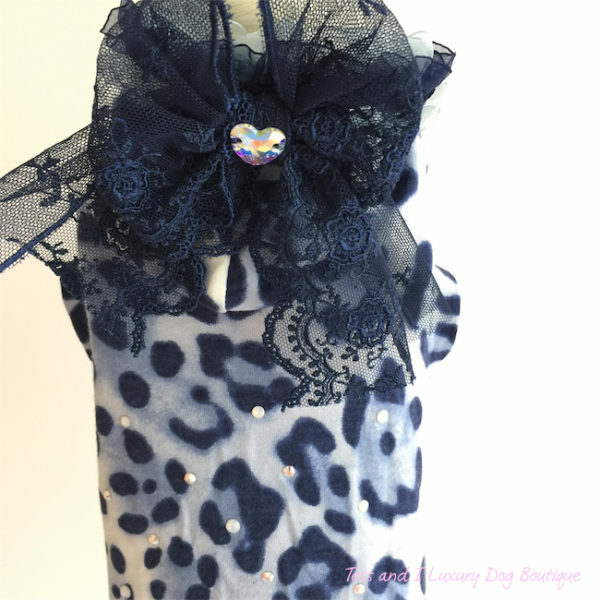 Removable blue lace ribbon with sparkling Swarovski heart.